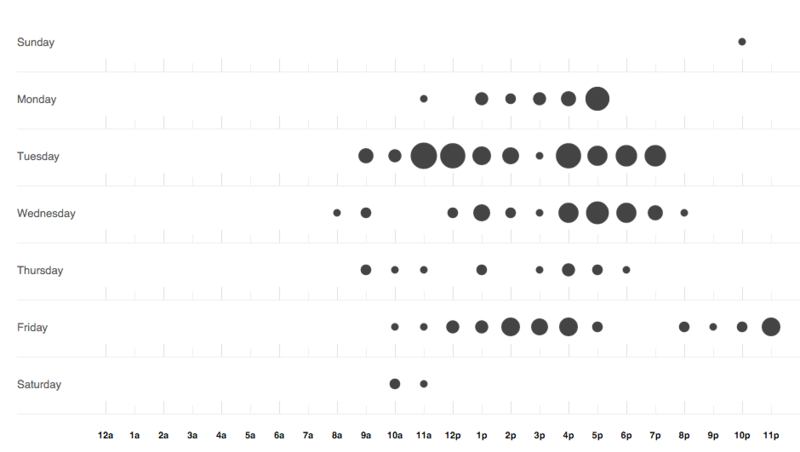 Recently I’ve found some interesting data on our github, under the punch cards graphs. It currently describes three projects and how we approach them. 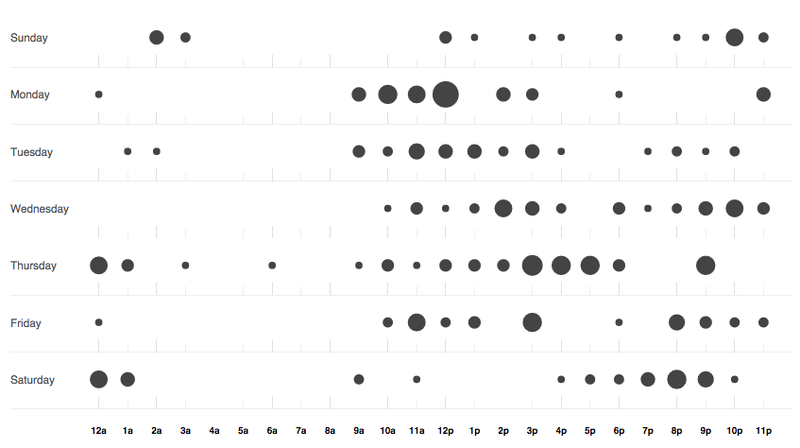 The regular 9am to 5pm work, with a project manager and agile sprints. Notice the lunch break around noon and some minor activity during weekends, representing then an active monday for project meetings and catchup. A project that is new and run by junior developers, without a project manager and no sprint planning. 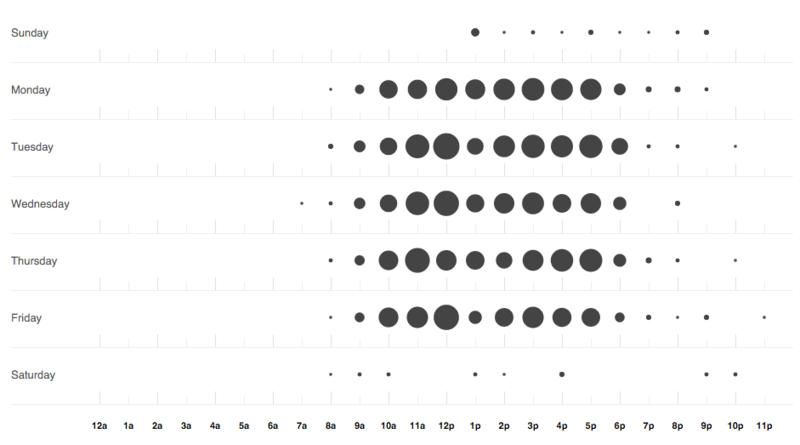 This one even shows something that I hate, friday afternoon deployments, resulting in extra work after dinner to sort out bugs. A startup project, run by senior devops people. Notice that it has no consistency like case 1, but more active during the night and especially on weekends. 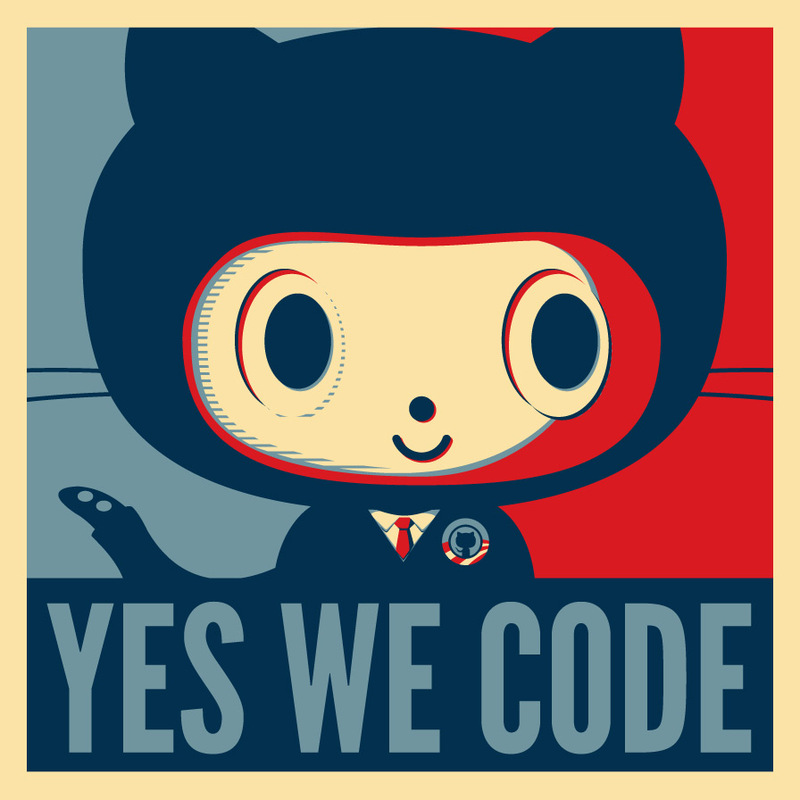 There aren’t two projects alike, but the code we produce for each one should be consistent and we should try to match all the above cases into something that can work for everyone, especially when it comes to work after hours and deployments on a friday afternoon, whilst keeping creativity.